Urgent: Klayman Sends Message to President to Fire His Lawyers Who Are Pushing Him Into a Mueller Perjury Trap! Go to www.FreedomWatchUSA.org to Sign Petition and Support Immediate Removal of Mueller! Good afternoon, my name is Larry Klayman. You know me as the founder of Judicial Watch and now Freedom Watch. 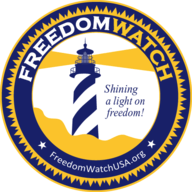 I'm currently the chairman and general counsel of Freedom Watch. We're in effect your private Justice Department. Today I have a very strong message and warning for President Trump. Do not listen to the advice of your lawyers Jay Sekulow, Ty Cobb, and John Dowd. They're trying to get you into a perjury trap, negligently. They're suggesting that you should be interviewed by Special Counsel Robert Mueller. But we know of Mueller and he's not a man of integrity is that he'll compare your testimony, which will probably be truthful in most respects, but sometimes people misspeak. They do it inadvertently. And that will be compared to other witnesses who have not testified truthfully in the investigation that's going on with regard to Russian collusion and related matters. And from there will come either an indictment or an impeachment report, which will not only destroy you, but destroy the vision that you've created for this country to make America great again. Mr. President, you need new lawyers. I listened to Jay Sekulow last night on Fox News. He's a very nice guy. I like Jay. And he's a good religious rights lawyer, and he doesn't have a clue as to what he's doing with regard to criminal defense. He's not a criminal defense lawyer. He a TV lawyer. With regard to Ty Cobb, he's the grandson of the famous baseball player Ty Cobb. As I've said before, this Ty Cobb that's representing the president has struck out. And Ty Cobb is someone who represented John Huang during the Clinton years. Huang being a suspected Chinese spy that Clinton put at the Commerce Department that I uncovered to trigger the Chinagate scandal. Hundreds of millions of dollars going to the Clinton campaign and elsewhere, on behalf of the Communist Chinese to bribe the Clintons. This is complete folly. And it's time that we the American people speak up and tell the president: get new lawyers before it's too late. Do not walk into this perjury trap. It will not only destroy you, but it will destroy the nation itself. There are many important things that this president needs to tend to. Nuclear threats from Korea, Iran. Domestic issues, the wall with Mexico. These lawyers need to be removed and there need to be new lawyers brought in immediately. Take a timeout. Don't rush it. And in fact, Mueller will back off if you're getting new lawyers. And that's my advice to you today. Get somebody from outside of Washington who truly is a criminal defense lawyer, who isn't so conflicted with the swamp of Washington, D.C.
And recommend to the Justice Department that I be appointed special counsel. Because I will do the job. I'm not beholden to the establishment. This whole mess with Hillary Clinton, the email scandal, Fusion GPS, Uranium One, and what we now know about obstruction of justice at the FBI and the Justice Department itself. Destroying evidence. Dealing with prosecutorial misconduct concerning you, Mr. President. You need to put your foot down. Do not worry about appearances, because if you just get dragged along by your lawyers because you want to look like a nice guy, you lose. And you know that. So turn to https://www.FreedomWatchUSA.org. Sign our petition and contribute to our cause to support our legal cases to remove Robert Mueller before it's too late. And also speak up to the president and tell him to follow his instincts, not the bad advice of his hapless and conflicted lawyers. God bless you. God bless America, and God save America.